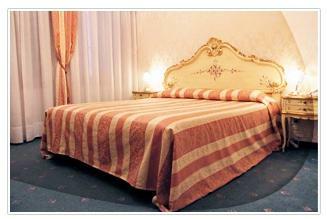 Hotel Locanda al Leon, Venice. Locanda al Leon Hotel Venice. The Locanda "Al Leon" enjoys a unique and prestigious situation at just 100 metres from Saint Mark's Square, at a few steps from the most prestigious and important monuments of the architectonical heritage of the city, like: Palazzo Ducale, Saint Mark Basilica, Ponte dei Sospiri, Clock Tower, as well as the numerous famous nearby restaurants, splendid cafes and shops. At our structure you can relive the charm of the ancient Serenissima: in a palace of the 15th century of just 2 floors, without lift. You can enjoy all the details, which an accurate restoration has preserved. The rooms are completely sound proofed; the classic and simple decorations are perfectly joined together in a relaxing and comfortable ambience. 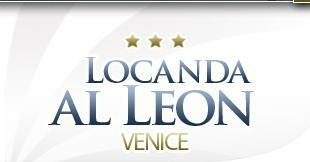 The Locanda al Leon offers a rich continental breakfast which includes fresh bread, croissants, rusks, cookies, 3 types of jam, honey, yogurt, corn flakes, rice crispy, boiled eggs, fresh seasonal fruit, cheese, milk, coffee, american coffee, tea, green tea, chocolate, orange juice.